Netherlocks valve interlocks prevent human errors and guide valve operator through predefined valve operating sequences. Unique keys are used to only allow the right valves to be opened or closed in the correct order. 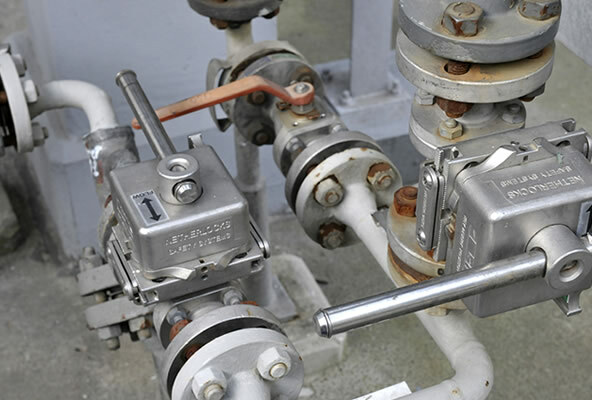 By using valve interlocks, industries can create safer working environments. 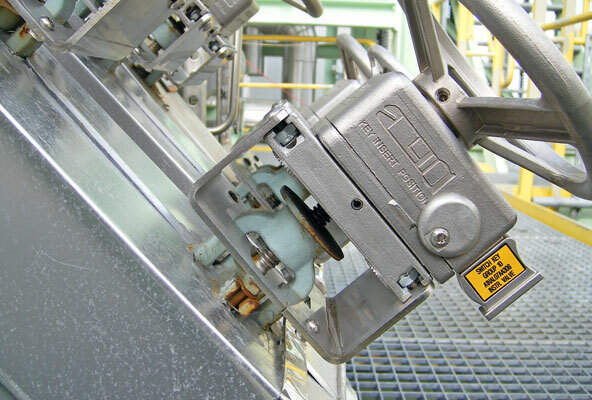 Interlocks also save costs, as they prevent product spills or losses due to wrong switchovers. Most accidents in the process and oil & gas industry are related to procedures that do not occur frequently and at the same time can have catastrophic influences when performed incorrectly. Start-ups, shut-downs and handover process are all good examples of procedures where slight mistakes or lack of concentration can lead to severe and disastrous consequences. What are Netherlocks valve interlocks generally used for? Valve interlocks are used to safeguard people and enable to adhere to procedures. They protect both equipment as well as the environment. Netherlocks valve interlocks are used for a wide variety of applications, such as Pressure Relief Valves (PSV), pig launching and receiving, decoking, inert gas systems, pump startup, flare lines, boiler blow-down, 2 out of 3, chemical dosing pot, HP fuel gas heater, closed drain drum, vessel filling, vessel isolation, gas train alignment and pump routing. Netherlocks valve interlocks can be mounted without any alteration to the host valve; the characteristics of the valve remain unchanged. The valve interlock is installed as an integral part of the valve, with the original valve lever removed and replaced by the Netherlocks interlock with a new sliding lever or hand wheel. Single key locks block a valve in either open or closed position and are commonly used for locking stand alone valves. Double key locks block a valve in both positions and can be interlinked with other double key locks into one operating sequence. The Actuator Switch Lock Panel is an electronic locking system to include MOV’s into mechanical valve interlock systems. The Electrical Switch Lock controls the use of electrical switches by our standard linear keys. This way electrical switches can be included into valve interlocking operations, for instance to prevent starting up the pump unless the suction valve is open. A MPCU (Mechanical process Control Unit) is a system for exchanging keys. It operates as a ‘mechanical PLC’ and is installed in the field after being mechanically programmmed. The MPCU guides operators through complex procedures. The Key Exchange (KE) creates operational flexibility by releasing multiple keys after inserting 1 key, or by releasing 1 key after insterting multiple keys. The Compact Key Cabinet (CKC) allows for storing all start keys in the control room. It provides overview and visual indication of the status of interlocked valves and their related systems. Each key position is hard-coded; key positions in the cabinet correspond to identical keys. This way, it is impossible to insert a key in the incorrect cabinet position. Electronic switches or solenoids in Electronic Key Cabinets (ECK) provide reliable information on the status of every single valve interlocks system or position of a stand-alone valve and enable integration with the Distributed Control System (DCS). The ISI Touch Screen displays sequence diagrams and sequence descriptions.